The Quinnipiac Bobcats will not be going to the Sweet 16 for the second year in a row as it loses to top-seeded UConn 71-46 to end a 23-game winning streak. The Bobcats usually like to get out and push the pace but for a team like UConn, the Bobcats chose to slow down the pace of the game and try to limit the Huskies possessions. 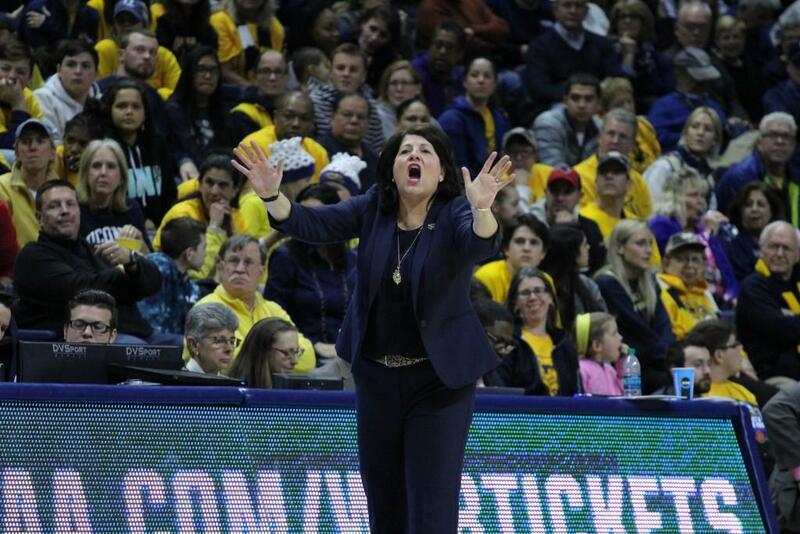 “You can’t dictate how you want the other team to play and I thought Quinnipiac did a great job controlling their part of the tempo and not letting us get too many run outs,” UConn head coach Geno Auriemma said. It took time to adjust to the new game plan for Quinnipiac but it did its job by not getting into its offense until there were 10 seconds remaining on the shot clock. Quinnipiac and UConn played tough defense throughout the game, especially in the first half. The Huskies knew that it would be tough to come by points but they would have to remain calm. “Definitely was grind today and they did a great job on a number of things throughout the game against us but I think for a team like us we have to try to remain calm as much as possible throughout whatever the situation is,” UConn guard Kia Nurse said. Both teams had a hard time scoring in the second quarter but it turned into an important stretch for the Huskies because they were able to capitalize on the Bobcats misses. Paula Strautmane made a three to cut the Huskies lead to eight with 5:32 to go in the first half. Strautmane missed a three on the next possession but Nurse made her three to put the Huskies back up 11. UConn took away McClure and limited her to only two shots in the first half both of which she missed. Before the start of the second half, Tricia Fabbri gave some extra instructions. Crystal Dangerfield missed a jumper to start the second half but right after McClure made her first basket of the game. McClure made another jumper to cut the lead to 14 but UConn answered with a 7-0 run to increase its lead to 21 points. UConn knew that if it maximized its possession then eventually Quinnipiac would have to play faster and it would be able to score more. “We didn’t worry so much about how many shots they got as opposed to if we were converting on the offensive end, they’re going to have to speed up a little bit,” Auriemma said. Quinnipiac has shown that it is a program to be taken seriously and with its win over Miami it validated its status as a perennial mid-major power in women’s college basketball. Even with the loss tonight the Bobcats are already getting amped up for next season when they look to improve once again. “That’s the goal, to get back to the Sweet 16 and go even further,” Quinnipiac red-shirt junior Jen Fay said. “I think we proved our self as a national powerhouse, pretty much, we’re playing against the best and that’s what we want. With the season now over the Quinnipiac coaching staff will go about improving its roster for next season. Quinnipiac will lose three players to graduation including Carly Fabbri, Sarah Shewan, and Brittany Johnson. The Bobcats will have an upperclassman-led team that has experienced nothing but winning and that will most likely continue.